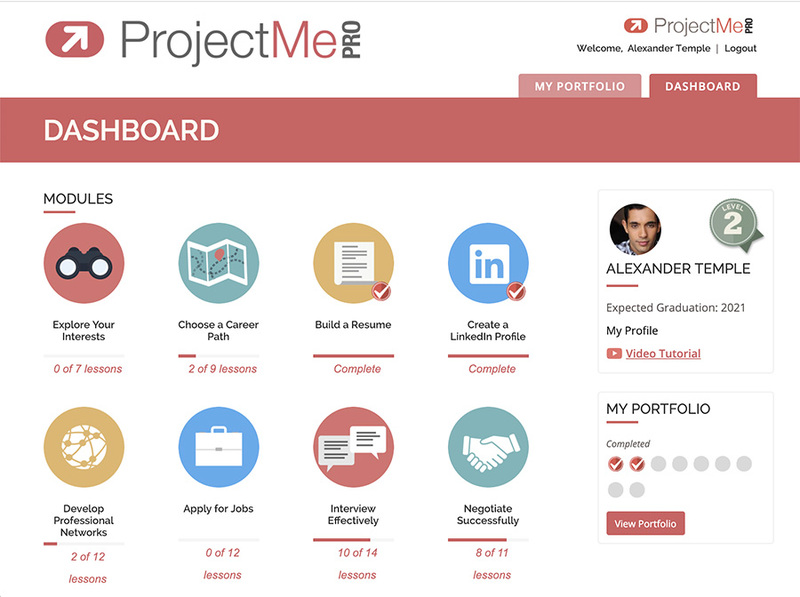 Project Me Pro is the online training resource to prepare you to find your next job. Sign up today, and take the fast track to a new career! Your personalized dashboard will give you access to all the e-learning modules and portfolio templates in the program. Badges appear as you finish each module and at the end of the program you will receive a certificate of completion. 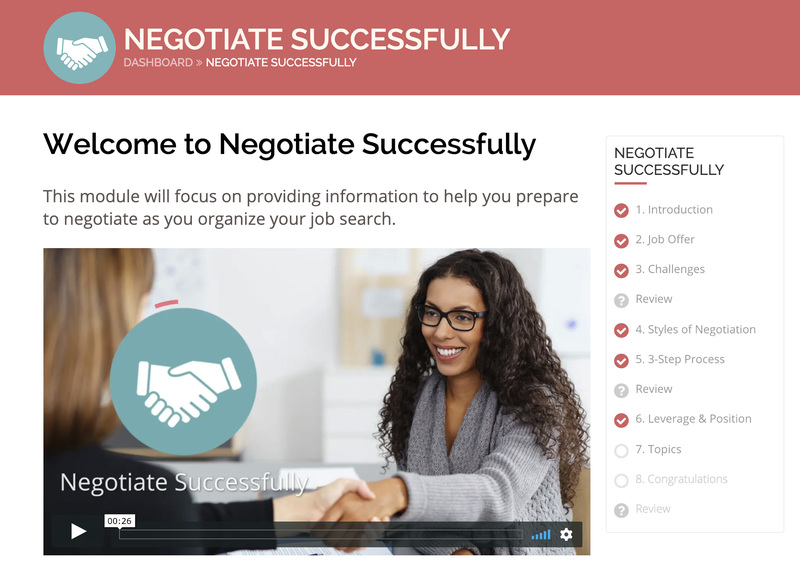 The modules include everything you will need to launch your job search. Lessons include choosing a career path, creating a professional resume and LinkedIn profile, developing networks and more. These modules were developed by professional recruiters and career coaches to help you find a successful and suitable career. 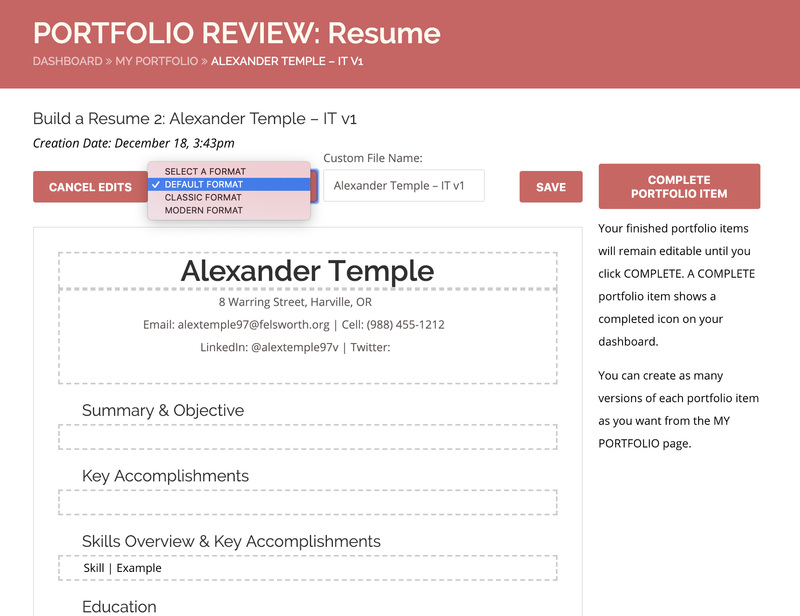 Create a portfolio of job search materials using the resume and LinkedIn templates. Strategy and progress worksheets will keep you on track. Want advice from a live career coach? Let us know!